Simple to make, these treats are ideal for little chefs. 1. Line a 20cm (8in) square tin with cling film or baking parchment. 2. 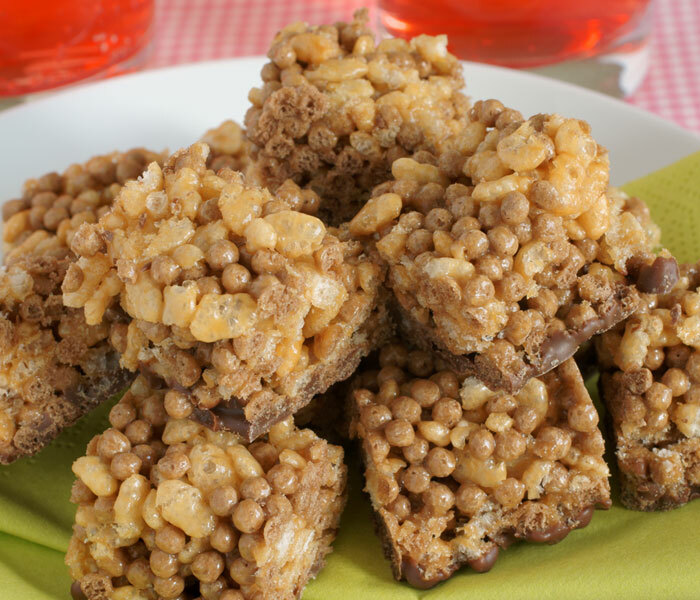 Place the Mars bars and butter into a large pan with the golden syrup, and melt over a low heat, stirring often. 3. The contents of your pan may look a little split and lumpy for a while but keep stirring until you end up with a thick, glossy chocolate sauce. 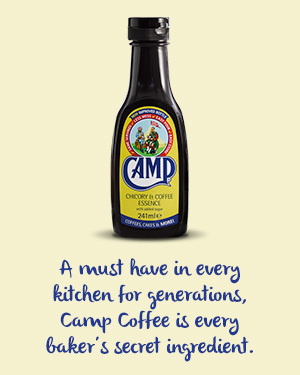 When it is smooth, add the Camp Coffee. 4. Stir the Rice Krispies into the sauce so they are all covered. 5. Using a spatula, pour the mixture into the lined tin and press down firmly to give an even layer. Chill in the fridge for an hour. 6. Remove the mixture from the tin. Using a sharp serrated knife, cut into 2-inch squares and serve.